Can you please do a very brief recap of the development-related activities of ANEEJ in the past year? Thank you very much. We have had the Civil Society Advocacy to Support Anti-corruption in Nigeria (CASAN) project. We have also strengthened transparency and accountability of Niger Delta institutions on resource management and through promoting citizen engagement. The goal of the project is to improve the transparency and accountability of targeted Niger Delta institutions through civic engagement and effective reporting of the agencies’ activities. 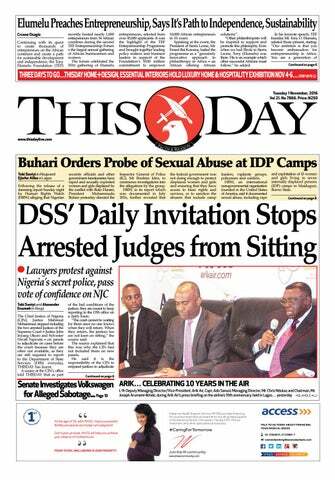 These agencies are the Oil Commissions in Edo, Delta, Abia, Imo, Ondo, NDDC and MNDA. There is also the Stop Dirty Fuel campaign. A research on dirty diesel was launched on September 15, 2016 in Nigeria, Ghana, Mali, Cote d’Ivoire and Switzerland. The goal of the campaign was to stop high level of sulphur in petroleum products. Commitments were made by governments to end the â€œAfrican Qualityâ€ fuel. ANEEJ also organised a Climate change seminar with Catholic youth and students. We also did a project on resource governance in the Niger Delta, This project is meant to reduce poverty and enhance access to justice in the Niger Delta region. We also engaged in strategies of tackling corruption through property ownership. We undertook advocacy against Impunity in the oil subsidy in Nigeria/ Asset recovery – The project is to raise public awareness about general and specific cases of corruption and malpractice in the oil and gas sector and put pressure on government to do more and hold perpetrators and government to account. The organisation is also canvassing for ending oil swap in Nigeria, and the project advocates for a reform in the oil and gas sector in particularly an end to oil swap contract. There were also the consultations ahead of the Global Forum on Asset Recovery (GFAR) taking place in Washington DC this week. Among your focal areas is the environment….what is your take on the issue of the clean-up of Ogoniland, which is yet to commence over a year after the federal government approved the process? We believe that the Federal government appeared to be sincere with the issues concerning the Ogoni clean up from the onset. Recent developments however indicate that there are issues bordering on the political will on the part of the Federal government to ensure that the cleanup begins at full throttle. Therefore to this extent, we urge the Federal government to do all it can to ensure that the process involves input from CSOs and relevant stakeholders. Despite revelations in the Thabo Mbeki report on illicit flows which stated that Africa loses over $50 billion annually to illicit financial flows, the outflow has not reduced significantly…..to you, what can be done to remedy this alarming situation which is draining away Africa’s resources? First, the National Assembly must do all it can now to pass the Proceeds of Crime Bill currently being debated. This is because if that bill becomes law, it helps the fight against corruption and prevents politically-exposed persons from laundering money in tax havens. Secondly, the Federal government must build the capacity of the judiciary, the media, civil society and anti-corruption agencies on asset recovery. Further, the Nigerian government must institutionalise a framework for working with Nigerian Civil Society to ensure that there is effective implementation of the National Anti-corruption Strategy and Mutual Legal negotiations on stolen assets and their management thereof when recovered. Many analysts believe Nigeria has signed on to too many Agreements, Conventions, Protocols and Resolutions, some of which are of no particular benefit to the country….can you identify any of such agreements that should be exited or set aside for the nation’s good and positive development? Nigeria has not really signed on to too many agreements in the real sense. The world is becoming a global village, and these signatures are the wires which connect us to the heartbeat of the world. Many of these conventions are useful, especially as most Nigeria is seeking the help of the rest of the world with the recovery, return and management of assets stolen and stashed abroad by corrupt Nigerians. Therefore many of these conventions are useful. Like the UNCAC is useful in the fight against corruption. What remains to be seen is if Nigeria can comply with some of the commitments made in the implementation of these treaties. 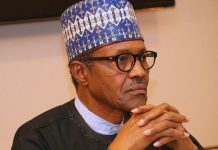 There was a recent allegation from the National Assembly leadership that the huge funds recovered from corruption proceeds both locally and internationally are being diverted and stolen by the anti-corruption agencies….what checks and balances can be put in place to avoid this potentially damaging situation? Like we have always maintained, an asset management body must be established to take care of recovered assets. Leaving these assets in the hands of the anti-corruption agencies is not professional and may be an incentive to the issues you have raised. Let recovered assets be put in the hands of seasoned experts who can turn the recovered assets into value-added commodities. If properly managed, these recovered assets can yield trillions of naira that will help with financing critical areas of the Nigerian economy. It promotes transparency and accountability and truncates the culture of impunity. 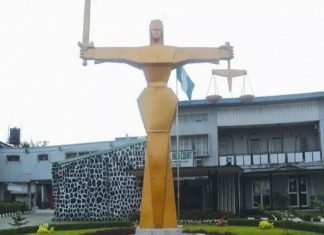 The issue of mutual legal assistance between cooperating countries concerning recovery of stolen funds has been identified as a positive option for repatriation of loot from destination nation…..how can Nigeria take this further based on her bilateral agreements and some conventions she signed onto? The issues concerning mutual legal assistance with and between countries are a bit sensitive and some border on issues of patriotism. If one country already has begun investigations in a matter of asset recovery; that matter is usually seen to be under the laws of the country that is already investigating that matter. That is why it would be very important for Nigeria to activate the treaties we recently signed by working closely with states wherein we signed those commitments and treaties. 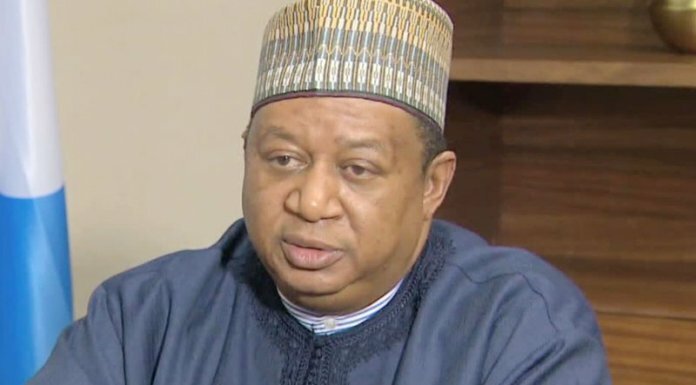 Recently, the Federal government partnered the Metropolitan Police in the UK in the case involving the former minister of petroleum resources. Such collaborations are usually profitable in the long run only if both countries exhibit great levels of honesty, sincerity of purpose and a determination to bring treasury looters to book. Although the present administration is still embroiled in an ongoing war against official corruption and graft, there are several allegations that the same administration is shielding some top members from prosecution on alleged corruption charges….to you, is this administration still committed to transparency and accountability and its war against corruption? We believe so even though there are some grey areas which we believe the government should address. The Buhari administration has consistently put forward a name of a public official which it believes has what it takes to fight corruption to a standstill. It has introduced a whistleblowers policy through which a lot of monies have been recovered. There is already a National Anti-corruption strategy, and there is evidence that the government is interested in the quick passage of the Proceeds of Crime Bill into Law. Most importantly, this government has shown interest in working with non-state actors in the recovery and return of stolen assets. In this wise, what the government must do is institute an asset management body to professionally handle these assets so that they can further be value-added and yield returns that can be used to drive relevant sections of the Nigerian economy like roads, power and health. ANEEJ has been involved in the fight for social, environmental and economic justice for years now….how has your partnership with other organisations like SERAP, NEITI, MacArthur Foundation, Ford Foundation, and PWYP panned out in terms of impact on national development? One of the strongest assets of civil society is in their ability to pool resources together, and speak with the voice of numbers and as a man. Our relationship with all other Civil Societies is built and based on this idea. Over the years, it would have been very difficult to make the kind of progress we have made in engendering transparency and accountability in the management of oil resources, in building the capacity of the media, market women, and other relevant institutions of governance if we did not have the support of local and international institutions like the Ford Foundation, Bread for the World, MacArthur Foundation, USAID, The UK Department for International Development (DfID) and a host of others. ANEEJ recently and successfully carried out a Civil Advocacy to Support the Anti-Corruption in Nigeria (CASAN) Project. Your organisation (ANEEJ) was actively involved in a Niger Delta project which focused on capacity building on transparency and accountability for citizens of the region….what are the verifiable outcomes of that project? Completion of some abandoned projects by Niger-Delta Institutions in the region especially in Edo, Cross Rivers and some are ongoing in the region. NDDC started publishing their quarterly report under the then Acting Managing Director of NDDC, Mrs. Ibim Semenitari after the intervention of ANEEJ/ Lite Africa and other partners working with ANEEJ. In June 2016, NDDC presented the first comprehensive quarter report covering NDDC activities from inception to March 2016. This has been produced in hard copies and also made available to the public through the commissionâ€™s website. NDDC also released 2 other quarterly reports available on their website. Increase citizen engagement and awareness in the region in relation to the work of these agencies, Community members in the oil producing areas are now engaged to monitored projects in their communities and also to relate with these agencies. Despite a widely-publicised endorsement and signing onto the Paris Climate Agreement in 2016, Nigeria doesn’t appear to be taking the issue of climate change seriously enough….what can be done to improve the nation’s reactions to flooding, erosion, drought and other climate-related incidents, and to reap the benefits of signing onto such an Agreement? Climate change does not respect geography. That is why Nigeria must not subscribe to the notion that because the West has been more responsible for dragging the rest of the world to the tipping point of Climate Change, therefore, it would renege on its commitment made at the Paris Treaty. As a matter of fact, not embarking on a concerted effort to support issues that will mitigate climate change almost puts Nigeria on the same platform of insensitivity to climate change issues as Donald Trump. We at ANEEJ believe that Nigeria must begin to put plans in place to promote the use of renewable energy, and seek alternative sources of energy apart from oil. Investigations we have carried out reveal that the countries like Germany are spending millions of Euros to promote non-oil energy sources which will make it harder for them to patronise our oil. Therefore in September 2016, after reports from the WHO that four Nigerian cities â€“ Onitsha, Umuahia, Owerri and Kaduna â€“ were adjudged the most air polluted cities in the world, ANEEJ partnered a Swiss NGO, Public Eye to campaign against dirty fuel imported into the country. Consequently, government made commitment to end this African Quality fuel but later shifted the date to December 1, 2017. We believe that if Nigeria must solve issues related to Fulani herdsmen, Boko Haram and lingering issues of insecurity, we must focus on addressing issues of renewable energy. Anti-corruption stakeholders in Nigeria, including ANEEJ and SERAP recently organised and held a consultative meeting ahead of the Global Forum on Asset Recovery (GFAR) scheduled to hold in Washington DC this December….what are the three major lessons/recommendations from that meeting? And as part of the recommendations the forum called on Government to divest the EFCC, ICPC and other law enforcement agencies of the responsibility of managing recovered assets and expedite action on the setting up of a special Agency under the proposed Proceeds of Crime (POC) Bill 2017 charged with applying, managing and coordinating the whole process of asset recovery, forfeiture and management of asset. We also called on government to strengthen the performance of existing institutions such as the EFCC, ICPC, Code of Conduct and, by providing clear mandates, sufficient resource allocation, data management and sharing, and effective coordination through an Inter-agency Task Team (IATT), to ensure that capacity, skills and resources are improved at all levels both as an interim measure ahead of the enactment of the POCA and within the framework of POCA. Likewise, International Development Partners were enjoined to fulfill their countries’ commitments under the 2016 London Anti-corruption Summit, and specific anti-corruption commitments made at the 2016 Nairobi 2nd High Level Meeting on Effective Development Cooperation, the Accra Agenda for Action and the Busan Partnership for Effective Development Cooperation. They were also asked to comply with the straightforward provisions of UNCAC rather than insist on less effective domestic laws and other complicated requirements in the matter of return of Nigeriaâ€™s assets. Lastly, are all the 17 Sustainable Development Goals (SDGs) realisable in Nigeria between now and the deadline year in 2030….should some goals be made priorities and others stepped down to ensure rapid development? Prof. Jeffrey Sachs in The End of Poverty (2005) said at the onset of the Millennium Development Goals (MDGs), the UN relied on five development plans – a differential diagnosis, an investment, a financial, a donor and a public management plan. It was obvious that in spite of these plans, the MDGs were a bit unattainable, necessitating an expansion of the MDG goals from 8 to 17. If an expansion would lead to a widening and a deepening of the focus of the SDGs, then we think that the 17 goals are in order. We hope that the rationale behind the expansion of some of the MDGs from 8 to 17 will meet its target.